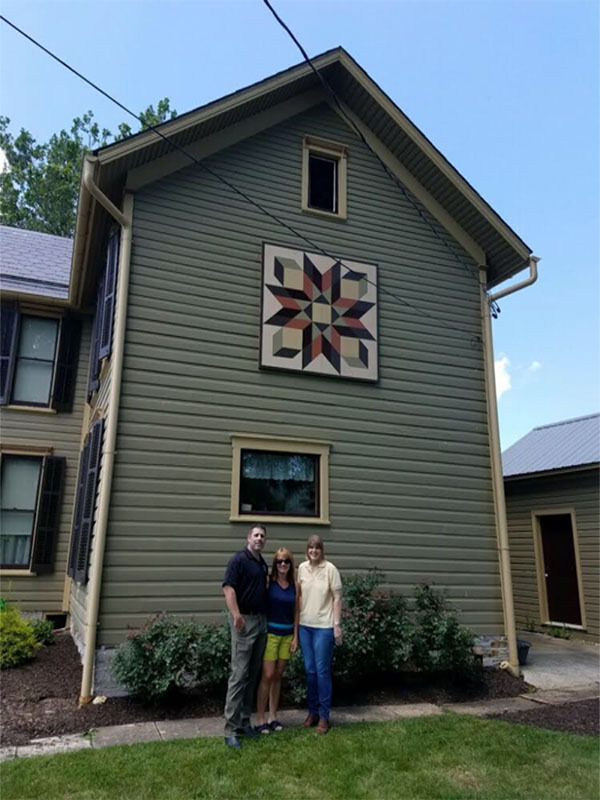 The barn quilt proudly displayed on the east side of the Alexander Financial Group is in honor of M. R. Shaffner who had this home built in 1892. Mr. Shaffner was an attorney as well as an insurance and pension agent from 1892-1922 at the same location. He resided in the home, and his office was next door in a small matching building today owned by the Fulton County Bar Association. The quilt square uses the colors of the Victorian home and is reminiscent of the sunsets enjoyed by the Shaffners as they sat on their front porch at the turn of the last century.